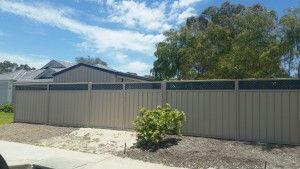 WA External Solutions is now doing colorbond fences and fencing as part of their newly expanded team, we are covering colorbond fencing and gates from Bunbury to Margaret River including Boyanup, Brunswick, Harvey, Dunsborough, of course our home town of Busselton, and all the surrounding areas in the south west. Other services we offer are still Roofing, Re Roofing, Roof Painting, and all of the associated jobs with the roof like whirly birds, flumes, gutters and downpipes. Call the team at 1300 660 978 for a complete service and support.